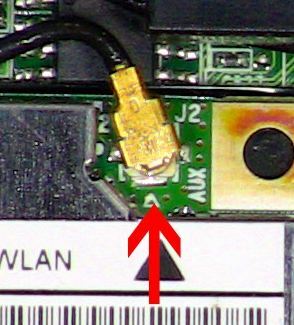 In my abortive attempt to review the Foscam FI9821, I mentioned the complete inability for the camera to find let alone connect to mine nor any wireless networks in my neighborhood. This precluded my ability (and desire) to review the camera any further. Now, however, the camera sees and connects successfully to my wireless network. After my issues with the late Foscam FI9820 with its poor daytime image quality and anemic firmware, I already experienced RMA hell and didn't want to go through it again. Thus, being handy with electronics, I decided to try an off the wall suggestion found in Foscam's support forum. Note that the following steps may VOID the manufacturer warranty. 1. Power off the FI9821 and disconnect all cables. 2. Remove the rubber feet on the underside of the camera, this should reveal a couple of screws. Remove them. There are also two screws located on the underside beneath one round laser QA label and another beneath a round paper label. Remove the labels and then the screws as well. 4. Remove the connector, then reconnect it, and as you do so wiggle it, just a little bit. 5. Reverse the steps above and reassemble the camera. 6. Connect the power and ethernet cables, and proceed to configure the camera to connect to your wireless network if you haven't already. Be sure to save the settings! 8. Unplug the ethernet cable and wait a minute or so, then try browsing to the camera's IP address. With luck, the camera will have switched to wireless mode and you should then be connected wirelessly, at last! Why does this work?? It could be due to insulation which is sometimes used to coat electronics, such as that used to coat thin wire that's used for coils. 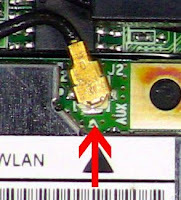 Perhaps in the manufacturing process, the post got sprayed with insulation by accident, leading to a poor connection with the antenna wire connector. Wiggling the connector around on the post may've scraped away any insulation, leading to a solid connection. Regardless, releasing a $150+ camera so hurriedly with a problem like this, one that some simple quality assurance practices could've caught and fixed, is ridiculous. Although again I applaud Foscam for their responsive customer service and providing me with a free upgrade to the newest model of their camera, shame on them for not catching this frustrating little glitch! I will review the camera in earnest in the near future, now that its wireless connectivity, a core feature in my eyes, is operational at last. I am having this same problem with TWO new 9821P Foscams. I have contacted technical assistance, but if they do not respond within a week, I am returning both of them. This is pathetic! BTW: I own 6 other Foscams and know how to set up normally, but these two drive me nuts.